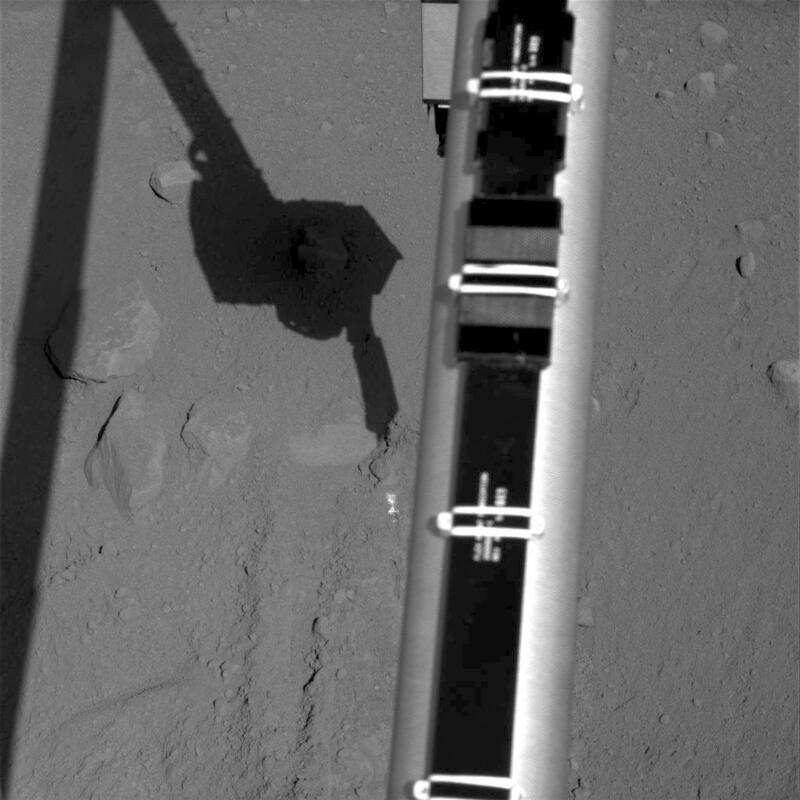 The Surface Stereo Imager on NASA's Phoenix Mars Lander recorded the images combined into this movie of the lander's Robotic Arm enlarging and combining the two trenches informally named "Dodo" (left) and "Goldilocks." 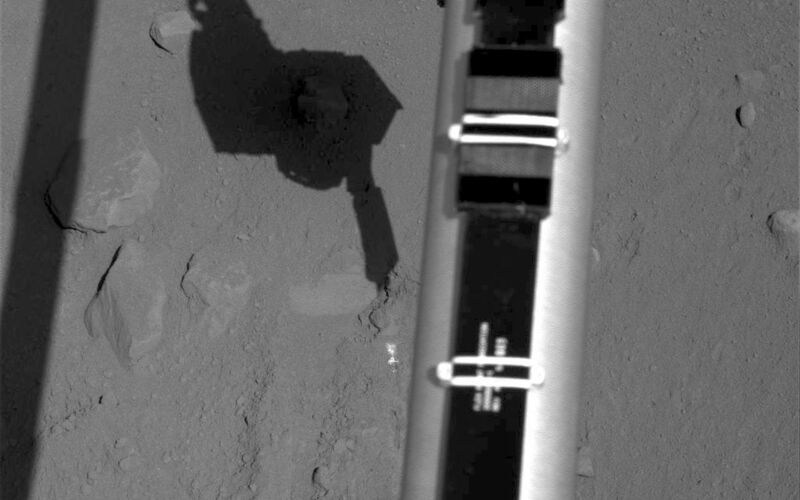 The 21 images in this sequence were taken over a period of about 2 hours during Phoenix's Sol 18 (June 13, 2008), or the 18th Martian day since landing. The main purpose of the Sol 18 dig was to dig deeper for learning the depth of a hard underlying layer. A bright layer, possibly ice, was increasingly exposed as the digging progressed. Further digging and scraping in the combined Dodo-Goldilocks trench was planned for subsequent sols. The combined trench is about 20 centimeters (about 8 inches) wide. 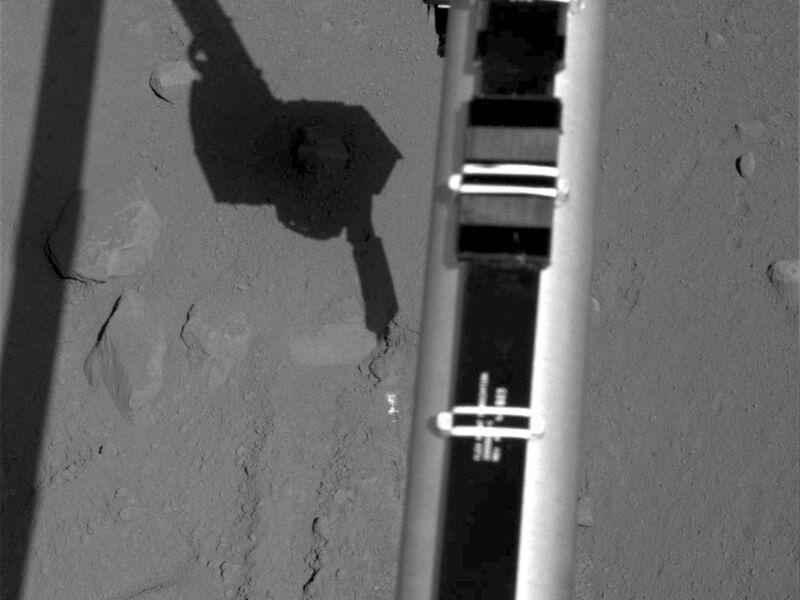 The depth at the end of the Sol 18 digging is 5 to 6 centimeters (about 2 inches). 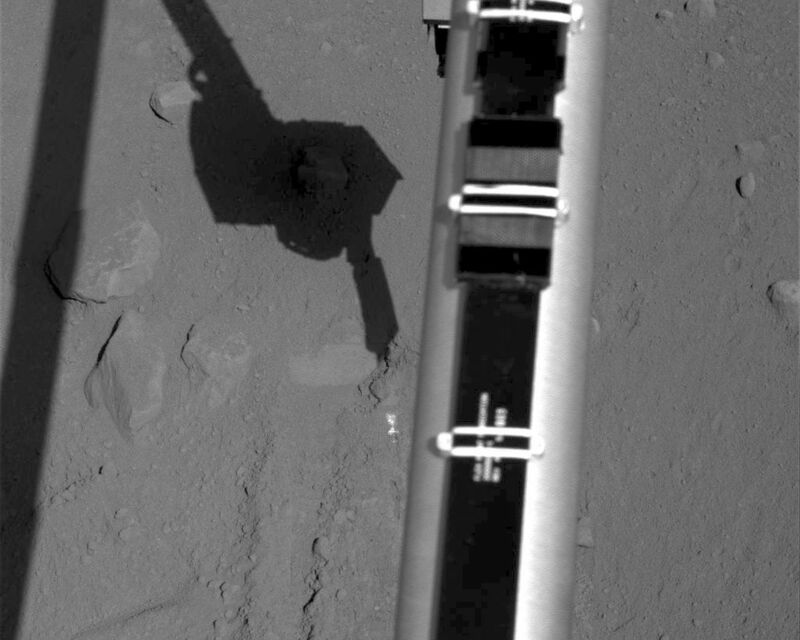 The Goldilocks trench was the source of soil samples "Baby Bear" and "Mama Bear," which were collected on earlier sols and delivered to instruments on the lander deck. The Dodo trench was originally dug for practice in collecting and depositing soil samples.